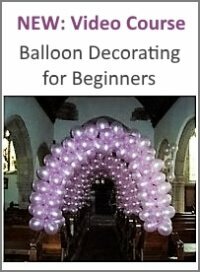 Can i do a a balloon arch using balloon column on both sides and a string of pearls (at the top like a normal arch), not using poles or rod for the balloon column, but a fishing line and balloon weights (the same one the string of pearls will stay on). Thank You very much this has really helped me. thumbs up. Welcome back! If you are not using a pole, you will need to support your column in some other way. 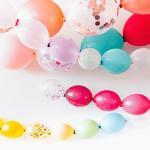 One method would be to fill only the balloons at the bottom with air and the rest with helium. 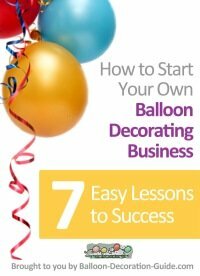 That way the balloons will support themselves. The drawback of this method is that it shortens the lifespan of the column, as the helium filled balloons will only stay fully inflated for about 24 hours (unless you treat them with Ultra Hi-Float). 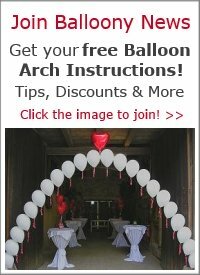 Charles Prosper (the 'Baron of Balloons') teaches a different method for air filled balloon columns. Instead of using a pole or fishing line, he attaches his clusters to natural twine. To achieve the necessary sturdiness, he uses 5 or 6 9" balloons for each cluster, and attaches all balloons to a paper clip. You can get an idea of how it works in his videos about making the bride & groom and the snowman.